Temple Beth Torah welcomes all new members. We are proud that we are inclusive to the many variations of Conservative Jewish families in today’s world. We embrace our interfaith, mixed race as well as our LGBTQ members. Many of our most valued friendships begin with our common bonds with other families raising young children in a Jewish tradition. 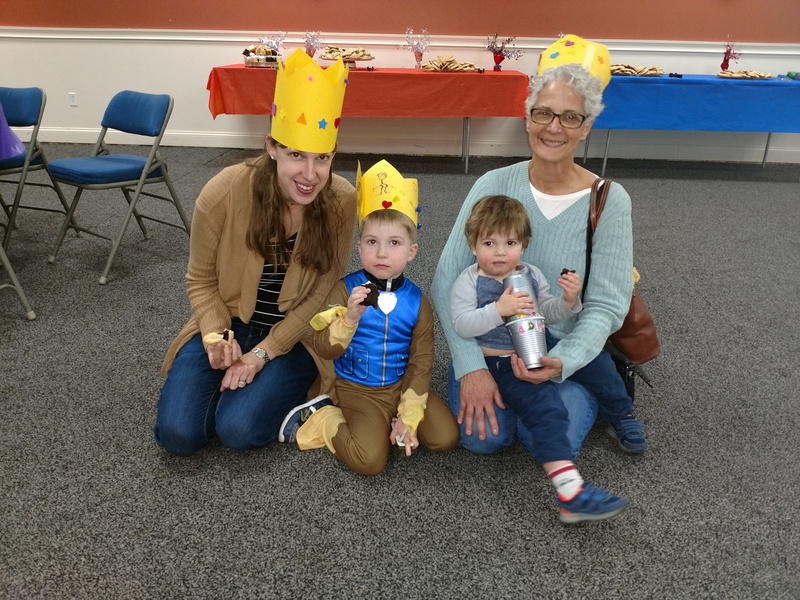 Services at Temple Beth Torah are always welcoming to young children. Your family will especially enjoy our Tot Shabbat services with musical accompaniment that is perfect for introducing your little ones to the Friday evening service traditions. Several times a year, a family friendly Kabbalat Shabbat dinner is served before the service. Our Friday evening Shir Shabbat services carry that spirit forward to congregants of all ages with a program focused on prayers delivered with music and song. Education at the Morris Nirenberg Religious School [link] caters to your children from ages 4 to 14, with a rich experience in learning about the traditions of Judaism, Hebrew as a living language, fulfilment of mitzvot, and much more. The religious school will prepare your child for their B’nai Mitzvah, and they will enjoy a special day leading our Shabbat morning service. B’nai Mitzvah candidates will perform a Mitzvah Project as part of their Tikun Olam learning. Four times a year our B’Yachad Service is an opportunity for families to participate together in a learning service on Shabbat morning. Jewish summer camps are an important part of many childrens’ lives and the formation of lifelong friendships. Temple Beth Torah encourages camp participation with its annual Ronald Gashin Scholarship. 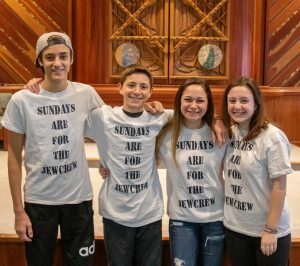 Temple Beth Torah supports teens attending BBYO events. Some of the past activities TBT has organized include snow tubing, Red Sox game, chocolate seder, and much more. 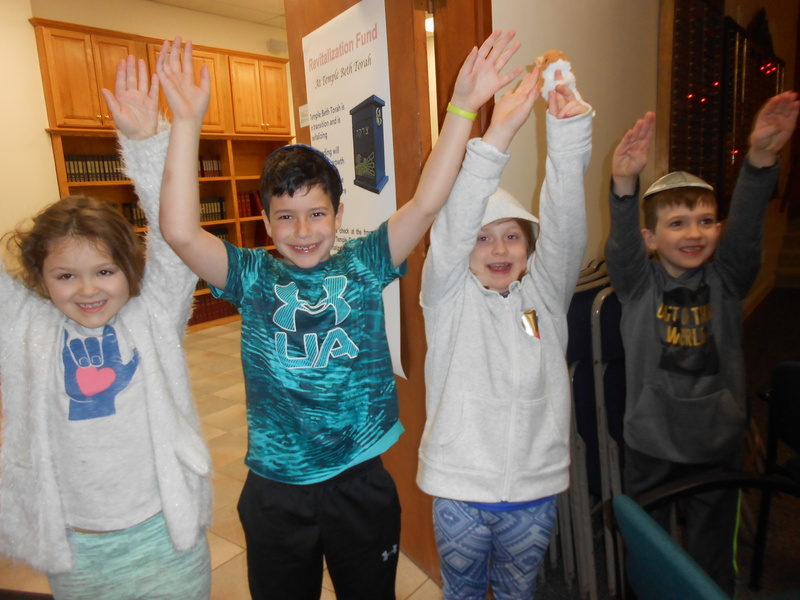 Temple Beth Torah promotes strong connections to Israel by managing a Myra and Robert Kraft Passport to Israel program which provides matching funds against your savings to help teens travel to Israel. There are so many ways to be connected with the community at Temple Beth Torah by participating in our religious services, social events, tikkun olam events, and committees. Our Sisterhood is an exceptionally vibrant part of our social and religious lives. The Israel Action Committee fosters a lifelong connection to Israel through regularly hosted events like guest speakers and Israeli-themed movies. The Ritual Committee advises our clergy and organizes many aspects of our religious services and Jewish traditions. Just to name a few. 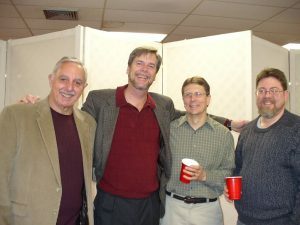 You will find an ongoing program of social events provide entertainment and foster friendships. Some examples include an adult Hanukkah party, dinner in the Sukkah, and special evening events hosting regional comedians, musicians, and much more. Temple Beth Torah maintains a program of Adult Education which includes Hebrew 101 for Adults, and discussion topics like the “Roots of Kashruth”. You will find great company with the other Seniors in the congregation at Temple Beth Torah. For both singles and couples, our Sisterhood, religious services and gatherings like Oneg Shabbat are continually occasions to build and nurture friendships. Seniors at TBT are just childen with a bit more life experience!! 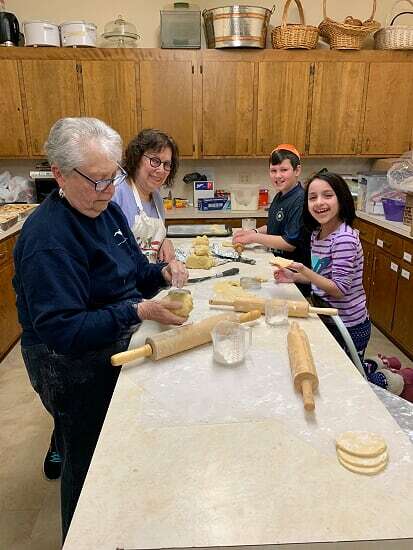 We help on committees, we volunteer on Mitzvah Day to help students prepare meals to give to the shelter, we roll and bake hamantashen for Purim, and we shop for temple supplies. We are glad to help where we are needed! Our senior congregants participate in all of our social events and planning committee. Some events such as Sunday Matinee, Adult Education and the Wednesday morning chavarah are especially popular.